Algebra's Friend: Happy Birthday Made4Math Monday ... First Day Stations! Happy Birthday Made4Math Monday ... First Day Stations! 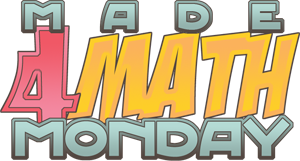 I love Made4Math Monday ... the activities, classroom decor, posters, organizational tools were awesome last year! I look forward to learning so much more this year. It appears that I will teach advanced Algebra 2 this year instead of Algebra 1. My background is in working with gifted learners so I am excited about that part. 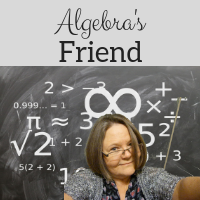 I know I'll have much studying to do this year as I spent all last year learning the ins and outs of the Algebra 1 curriculum. I want to start the year with stations (maybe not day 1 but more like day 2) ... reviewing some basic skills. I want to observe my students at work. I'm considering this set of stations although I have some other ideas simmering on the back burner as well. What activities are you planning for the first day or two of school? It says I need permission to view your google doc. Thank you! I know our first unit is on functions - especially reviewing linear functions ... still thinking about how to incorporate these. On the first day I want to do some team building, get to know you activities, and collect information from my students. Hope to publish plans on my blog.